If you’re experiencing symptoms of valley fever, or you think you’ve been exposed to the fungus that causes valley fever, contact your doctor’s office. Remember that valley fever is not contagious from person to person — it is contracted by inhaling certain fungal spores found in soil. Those working in close contact with soil, that live in areas where valley fever is common, should be extra careful. Since there is no cure yet for this disease, prevention is very important. Here is a checklist of things to discuss with your doctor if you think you have valley fever, from Zeba Yamin, MD, of Dignity Health Medical Group – Bakersfield. Explain why you think you’ve been exposed to valley fever. If your work or hobbies involve spending time in dusty environments, let your doctor know. If you’ve traveled recently, let your doctor know where and when. The fungus that causes valley fever is commonly found in specific regions. Discuss your symptoms and how long you’ve had them. If they have gotten worse over time, be sure to explain how. If you are pregnant or have other health conditions, let your doctor know. Those with weakened immune systems are at a higher risk for more severe valley fever symptoms. Ask about the different types of valley fever (acute, chronic and disseminated coccidioidomycosis). Learn more about how your doctor will screen for valley fever and how long it will take to get your results. Discuss the treatment your doctor recommends. You should also ask about recovery time, risk of recurrence after treatment and any medication side effects. Indicators of valley fever can vary from patient to patient, and many cases present with symptoms similar to the flu. The more details you can give your doctor, the better. This article was reviewed by Zeba Yamin, MD, a family medicine physician with Dignity Health Medical Group – Bakersfield. 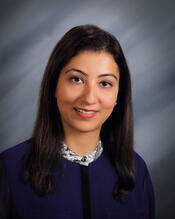 Dr. Yamin is currently accepting new patients. To schedule an appointment, call 661.214.3805.